The NFFF Quality Award - Should I Apply? Matt goes from Frier to Field at Field to Frier open day! This year Matthew was able to visit Chippy Chat's annual Field to Frier open day. The event is hosted a long way from Halton, at the Isle of Ely potato farm in Cambridgeshire. The day was punctuated with presentations by speakers from various sectors of the industry. Some gave an insight into the successful operation of Fish & Chip shops, other gave information about farming and harvesting. The common theme was pride and dedication to the industry, keeping quality and standards high from field to fryer. One of the highlights of the day was a trip out onto the potato farm itself. Matthew learned about the importance in an 8 year crop rotation cycle - essential for not only for allowing the replenishment of soil nutrients, but also for protecting crops from the spread of blights and disease. He also found out how the potato is encouraged to form a hard skin which facilitates better transport and storage. Climate controlled dry sheds prepare the potato crop for sorting and bagging. Large sorting belts ready the spuds for bagging. The scale of production was impressive to say the least. 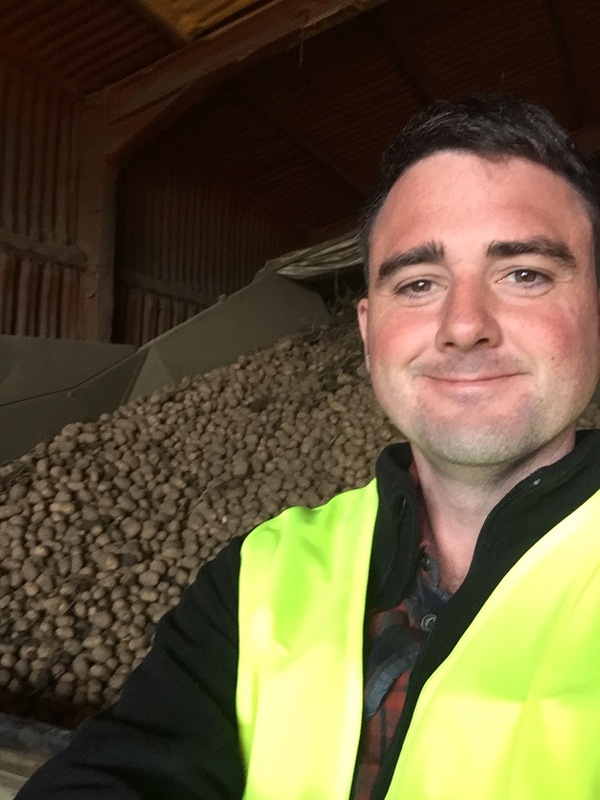 Giant store houses, drying sheds, sorting equipment and bagging facilities are all employed to make sure that Britain gets the best possible spuds it can! Potatoes bagged and stored on pallets, ready for shipping out to the fish and chip shops of our nation! The owners of Kingfisher Fish & Chips tell their inspiring story from opening to being awarded the nations best chippy!